This week, the last of my trip to my UK home has flown past far too quickly. 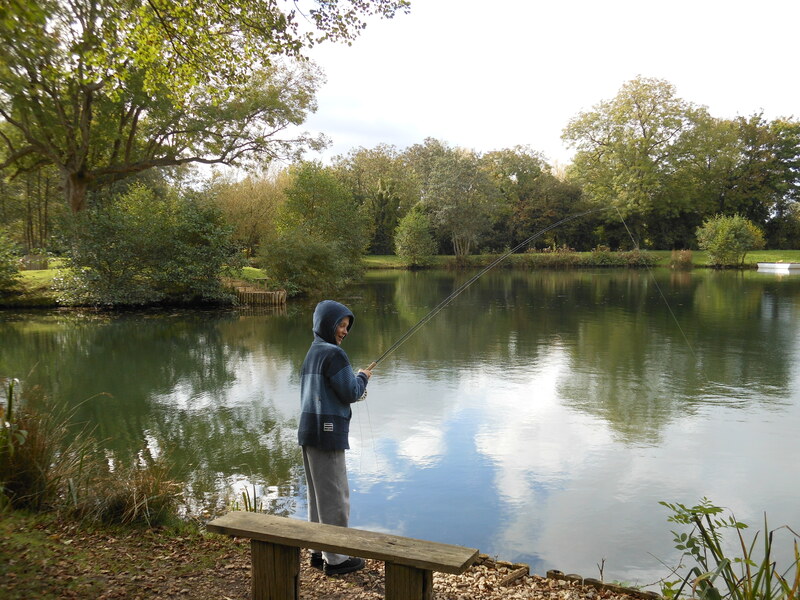 Wednesday, saw a visit to Lechlade Trout Fishery, Gloucestershire to hunt for big trout with my brother and son. Weather was not too bad, overcast and threatening rain without actually precipitating. Difficult conditions for stalking trout but I managed to peer into the murky water and pick out a target. 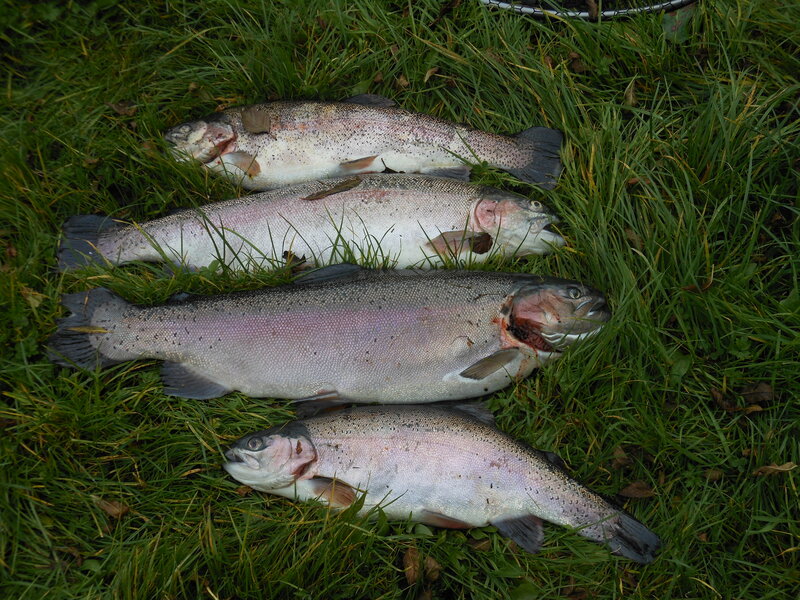 Trout normally have a very specific patrol routes around a certain piece of water, this one was no different as nymphs, hare ears, pheasant tails and stalking bugs were all rejected. Finally a gawdy yellow and white tadpole was strategically placed, attacked and a 10lb 4oz rainbow trout was brought to the bank. Not a brilliant fight if I am honest for a monster like this. We ended up catching 4 fish with two over 5 lb which my son landed and a 9lb 3oz to my brother. The Trout Master cup is over for another year (there maybe another round at Christmas). We travelled past the Wadworth Brewery in Devizes, Wiltshire which is in these parts is famous for its 6X beer. 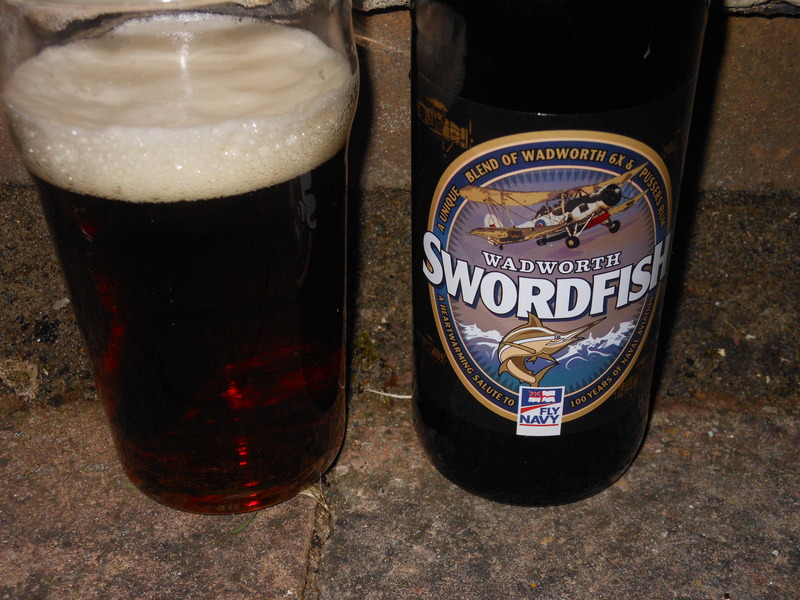 Found a new beer for me to try – the Wadworth Swordfish, this is a blend of 6X and Pussers Rum. This beer is “a heartwarming salute” to Naval aviation, the crews of the Fairey Swordfish torpedo bombers in WW2. A dark beer, but not a stout, and I would definitely buy again. Other footnote, a visit to Jamie Oliver’s Bristol restaurant is also recommended.